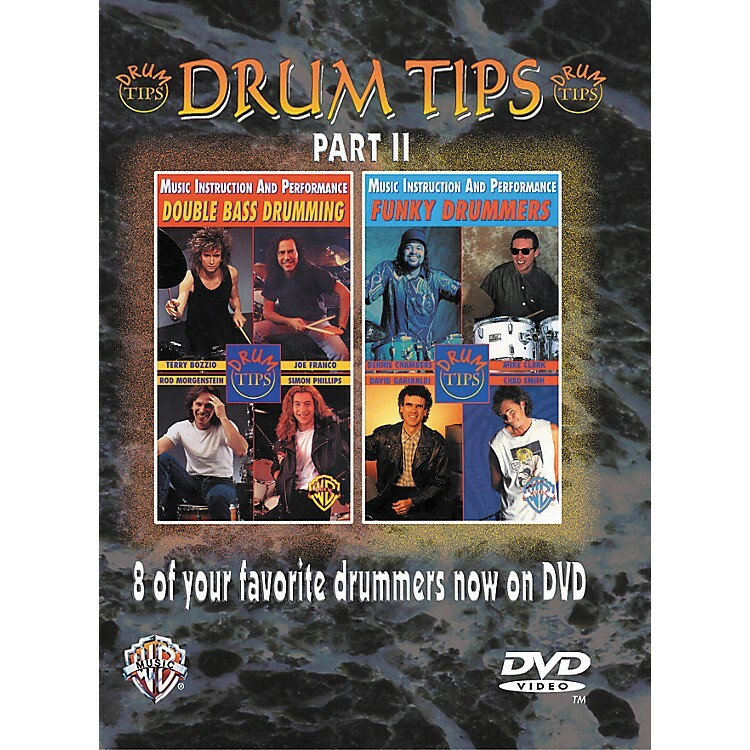 This DVD focuses on 2 different styles of drumming, comparing and contrasting the secrets of great musicians. Double Bass Drumming features in-depth practical information from several experienced professionals who offer their tips on developing your double bass techniques. This section features Terry Bozzio, Simon Phillips, Rod Morgenstein, and Joe Franco as they come together to discuss their tips on exercises, beats, fills, and soloing ideas. This section is great for exposing beginner to the world of double bass drumming as well as a refresher to help sharpen the skills of experienced players. Funky Drummers follows 4 of the most influential drummers through 3 decades of funk drumming. This stylistic journey begins with the soul-jazz influenced funk of the early '70s with Mike Clark and bassist Paul Jackson (of Herbie Hancock's band). The program then focuses on the legendary Oakland strokes of David Garibaldi (Tower of Power), continues on into the heavy pocket of Dennis Chambers (Parliament/Funkadelic), and evolves into the '90s funk-rock hybrid of the Red Hot Chili Peppers with Chad Smith and bassist Flea. Each drummer discusses their own personal style while demonstrating some of the most modern and influential grooves in the world.